1 down 39 to go! Back in late January you may remember me writing my 40 things to do by the time I reach aged 40 list and this week I managed to complete one of the items on the list. 3) Get a new dishwasher. Now this may not seem very exciting to most people but it is very exciting for me. 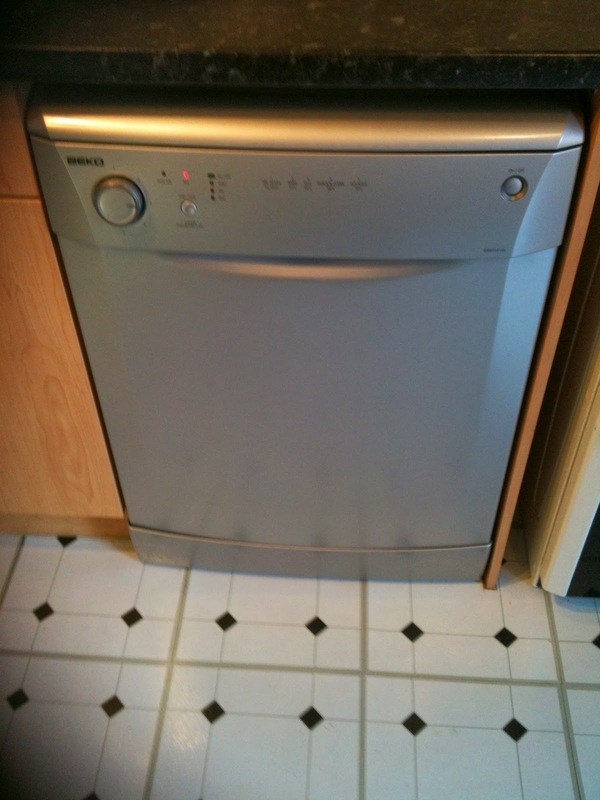 I have never had a new dishwasher before, they have always been second hand or given to us by friends and family which is fine as I was very grateful to have one at all, but I use to think to myself about what it would be like to choose one that I actually wanted so that I could choose the size and colour and it actually worked properly! About a month or so before Christmas our dishwasher that we had broke. We knew it was coming as it had been getting more and more dodgy every day and sometimes we would have to put it on three times to get the items clean. We did not have the cash to just go out and buy one, particularly when Christmas was on it’s way, so I found the one I would like and we started saving our pennies and this week I had enough to buy it and it looks lovely sitting in our kitchen and it is so nice not having to worry about who’s turn it is to wash up each day! So I can now happily cross off my first item from my 40 by 40 list! I know - we didn't realise how much we relied on ours until it broke! Yes I agree, I am showing my age lol! I am a green eyed monster. I really want a dishwasher as my hands are.. bad. I love your new mean machine!